Jacob Leckie’s motor never stops. 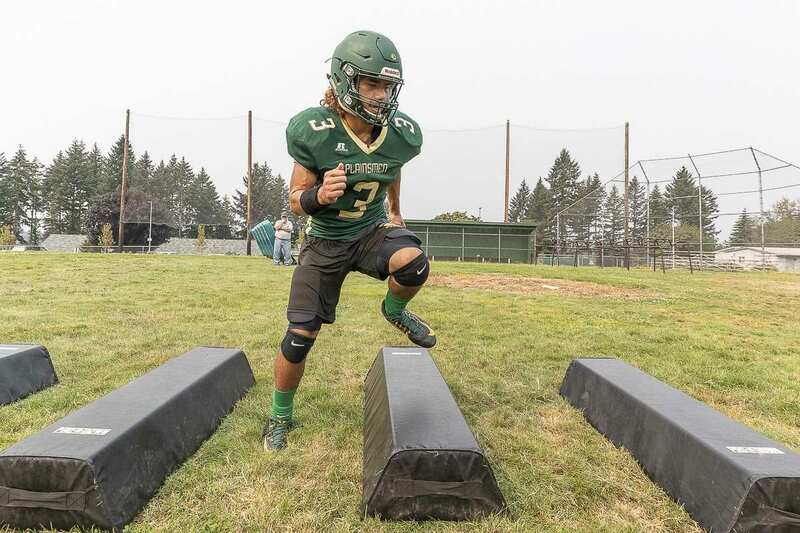 A senior at Evergreen, he is always working out, improving his technique, or encouraging a teammate. 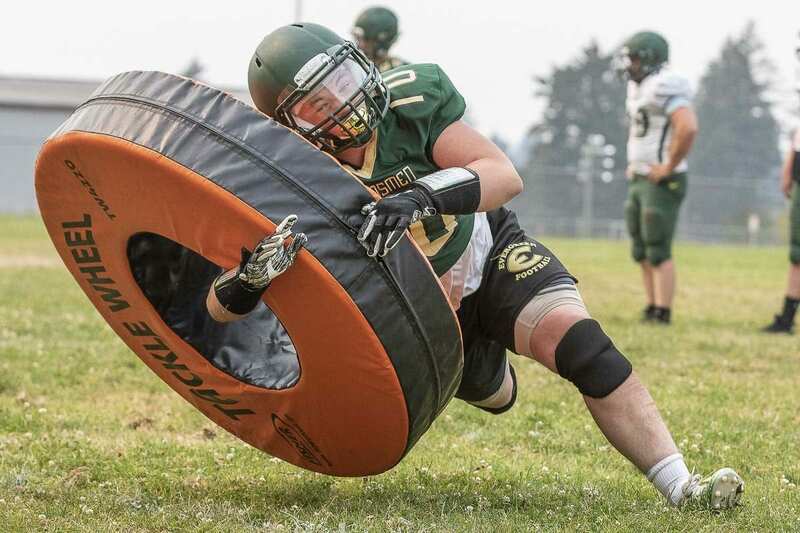 He is the hardest working football player his coach has ever seen. Photo by Mike Schultz. Edited by Andi Schwartz. VANCOUVER — He thought this was the norm, the usual. He did not think he was doing anything special. Only his coach disagreed. His teammates disagreed, too. 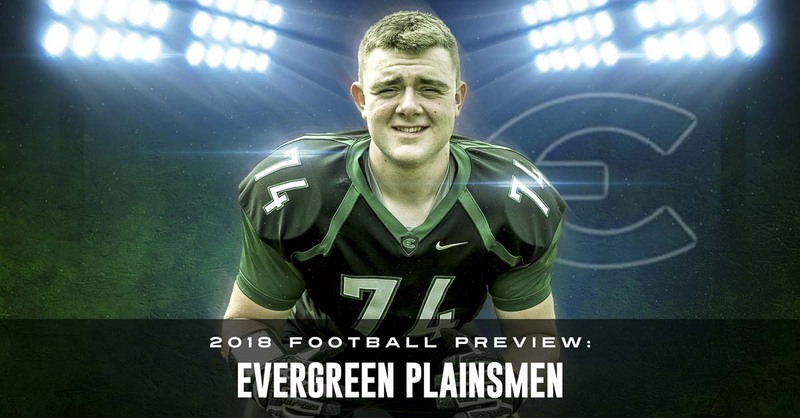 When it came time to discuss team captains for the 2018 Evergreen football season, he was an obvious choice. A unanimous choice. Because Jacob Leckie did so much for the team last year, especially when he could do no more for the team on the field on Friday nights. A broken thumb in September ruined most of his junior season. Or so he thought. It turned out, the injury brought to light some of his other attributes. He never missed a practice. He never missed an opportunity to learn from his coaches. He never missed a chance to help out a teammate who might have been struggling with a concept. He kept running, to stay in shape. When the injury healed, he attacked the offseason weight training program. 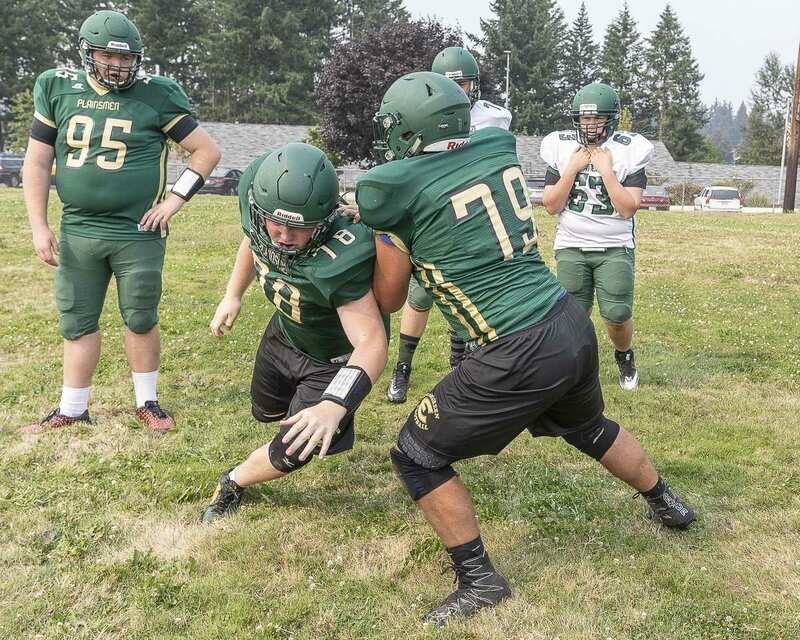 Over the summer, he dominated at team camp in Linfield, being named the defensive lineman and offensive lineman of the camp. Back at Evergreen, whenever the team met up for conditioning drills, he was there. Always. And if he saw a teammate having a tough time during the final lap, for example, he would run beside him, always with an encouraging word. Evergreen coach Terry Hyde said Leckie was the first name mentioned by every other player on the team when captains were announced. 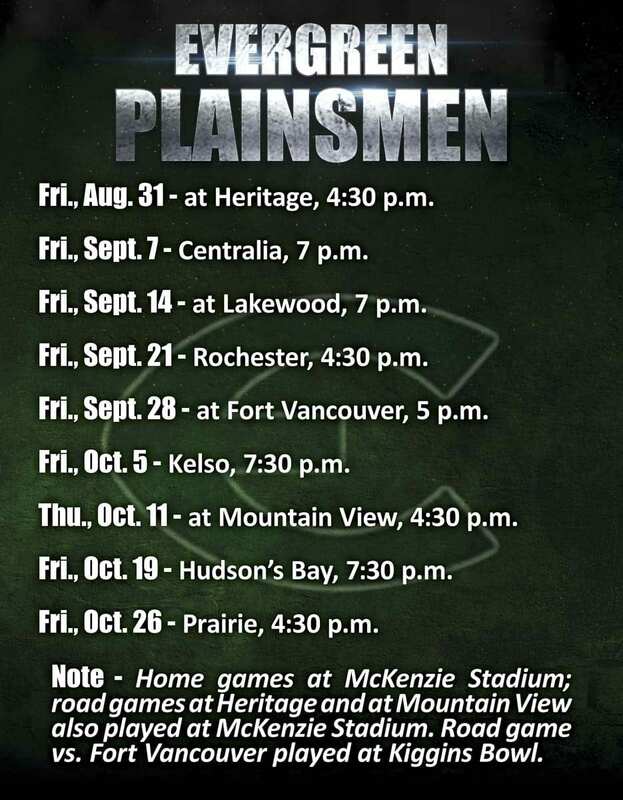 “I’ve never seen anybody work harder in getting prepared for a season … ever,” said Hyde, who has been a head coach or assistant coach in Clark County for decades. He was already a good teammate before the injury. How he responded after the fact, though, really opened some eyes. At first, Leckie thought he had dislocated his right thumb during a drill in practice. The next day, he went to the trainer, hoping to get the thumb taped. The trainer took one look and said no, advising Leckie to go to a doctor. This was not a simple tape job. That is when he got official word. His season was over. “It was terrible. More or less, I felt worthless,” Leckie said. He snapped out of that funk and focused instead on what he still could do for his teammates. “Well, I’m here. I’m still part of this team,” he reminded himself. “I continued to show up for practice. While I’m here, I might as well make myself useful. Sure, technically, that is the expectation — still attend practice, try to learn as an observer. Most injured players do just that. But many do the minimum. 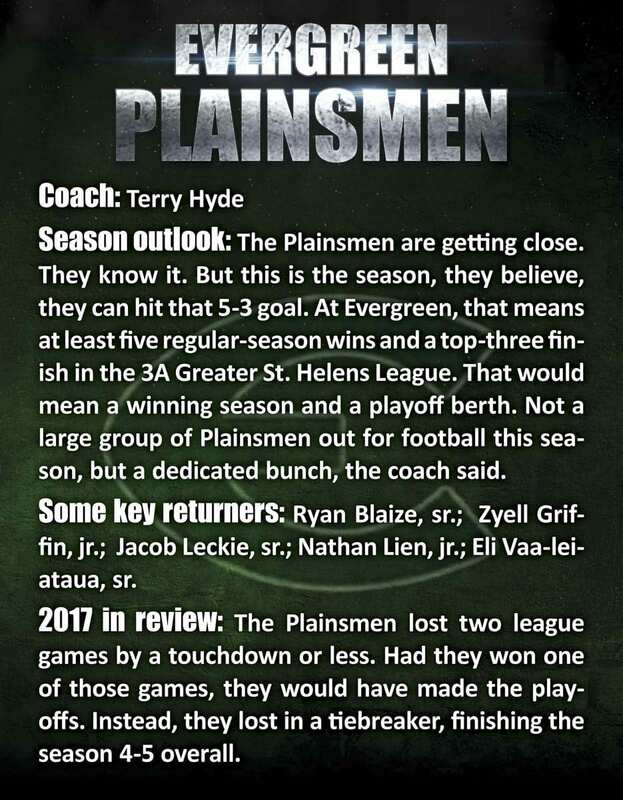 Hyde and the Plainsmen, though, realized Leckie was doing so much more for the team. “Being captain means leading by example and being there for the guys when they need me, on and off the field,” Leckie said. That leading-by-example part was on display at Linfield College during team camp. Hyde said he could not recall the last time camp coaches selected the same player for top honors on both the offensive and defensive lines. Leckie also thrives under the demands of the game. “I love being in the thick of it. They put us right in the trenches,” he said. He also has fun, within that same spirit. When he was a freshman, he made a big play on defense and announced to everyone on the field something to the effect of “This is my swamp.” He has been called Shrek ever since. After high school, Leckie dreams of serving in the military. He might enlist, or, if he finds a place to play college football, he might take ROTC classes. Before he leaves Evergreen, though, he wants to leave a lasting mark. On and off the field. Leckie knows first-hand that even those four years are not guaranteed on the field. But even with an injury, one can remain committed to a cause.